She has sat on a cliff-side perch overlooking the Columbia River for millennia, witness to countless seasons, migration of salmon, varying tribes and traders — including the famous passage of Lewis and Clark — and now a modern-day interstate in the distance. 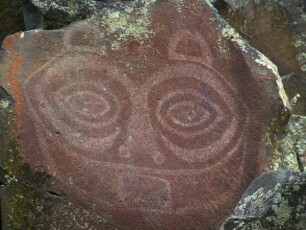 She Who Watches is a pictograph etched into a large stone above the Columbia River Gorge in the state of Washington. She tells the story of change, living well, building good houses, permanence, and her people’s mythology. She symbolizes a local chief (Tsagiglalal in local Chinookan) who fell prey to the deceitful coyote, which turned her to stone so she could watch over her people forever. Storytelling is an ancient skill and universal art. It’s central to our evolution as social animals and to how we learn about and make sense of our world. It’s how we share our common experience. She Who Watches is a perfect example of how media has evolved even while narratives and patterns remain constant. The way we tell stories has changed — from oral traditions, pictographs, and dance, to the modern printing press, film, and television —but the fundamentals of a good story persist. In the last five years, we’ve witnessed a massive proliferation of new media touch points, most recently with the advent of wearables and interconnected objects in the Internet of Things. As a storyteller, I take this high rate of change as good news. Some will dread what they perceive as a coming “cyborgization” of our lives with the myriad devices and networks around us, but in fact it’s only the logical progression of our social animal. Just as we found a more efficient method than the oral tradition in the Tsagiglalal pictograph, these new tools and devices will soon become as critical to our daily existence as the smartphone is today. The real challenge (and the one that will keep marketers employed) will be good storytelling across this ever-evolving landscape. Hollywood initially felt this change in the 1960s when the film business confronted an entirely new form: television. Television was initially seen as a threat to film, but those who embraced “transmedia” (the expansion of the film business to become the entertainment business in the 60s) survived and thrived. Today’s media is increasingly multiscreen, participatory, contextual, augmented… to name just a few new and higher-fidelity touch points. Some touch points will prove to be pure hype, while others will force us to expand our brand storytelling repertoire and techniques. And adjusting storytelling to new habits, new market demands, and new media is not optional. So what’s a marketer to do? Media evolve, but story patterns are ancient. Marketers must become familiar with and leverage the classic archetypes. The hero’s journey is possibly the world’s oldest story or plot archetype. It’s a narrative pattern that’s found around the world and serves as a basis for classic and modern stories alike. It’s Luke Skywalker and the Paleolithic drawings from the Caves of Lascaux. It’s Homer and The Matrix. It offers the audience a relatable back-story, a familiar pattern that tugs at our emotions and taps into our most basic desires as social animals. Brand stories are nothing new. What’s new is the challenge to communicate the same narratives across an ever-evolving media landscape (e.g., new devices, multiscreens, changing consumption behaviors, changing demographics, etc.). Classic archetypes are central to good brand storytelling, regardless of the medium. 1. The quest: Similar to the hero’s journey, the quest is about progression. A protagonist stumbles across several obstacles or challenges that must be overcome to progress along the journey (and story). Brands that have differentiated themselves using the notion of a quest include: AXE’s Make Love Not War (the eternal quest to get the girl), Intel’s Look Inside and IBM’s Smarter Planet. My brand, Intel, has been on the quest of late. Take a look at our recent Jack Andraka spot. Andraka is a high school student who developed an early-detection method for pancreatic cancer — one that is 168 times faster, 400 times more sensitive, and 26,000 times less expensive than the medical standard. Andraka’s journey began when his uncle was diagnosed with cancer. He was told doctors caught the cancer “too late,” and so he embarked on a quest to develop an early-detection method for pancreatic cancer — and won the Intel Science and Engineering Fair award. 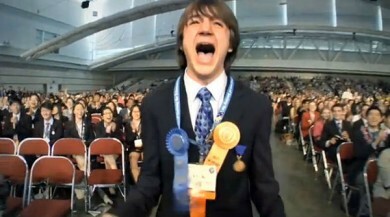 High school student, Jack Andraka, won the top honor at the Intel Science and Engineering Fair based on his early-detection method for pancreatic cancer. 2. Overcoming the monster: From the truly ancient Gilgamesh, to David and Goliath, to more modern tales like Avatar and Terminator, overcoming the monster is another common pattern. It’s the underdog story in which a hero is confronted by an evil larger than him- or herself. To defeat this evil or overcome fear, the protagonist requires great courage and strength (the story would be over rather quickly otherwise). A brand using this archetype makes the customer the hero (and has the customer join its revolution, such as Apple did with its 1984 video), or the brand becomes the tool or weapon to overcome the monster. Some examples? California Milk Processing Board’s Got Milk?, Allstate’s Mayhem, and Nike’s Just Do It campaign. Nike’s Just Do It narrative (an example of overcoming the monster) is as relevant today as it was when the brand first launched it in 1988. 3. Rags to riches: From pauper to prince, or even the classic pattern of the American Dream, the rags-to-riches archetype is well known. Brands will often leverage their own story or even a founder’s story within this theme. Paul Mitchell, the twice-homeless entrepreneur who went on to found the eponymous hair-care company worth $900 million, is a good example of the brand rags-to-riches trope. The Oprah brand and Wendy’s are two more founder-dependent rags-to-riches stories. 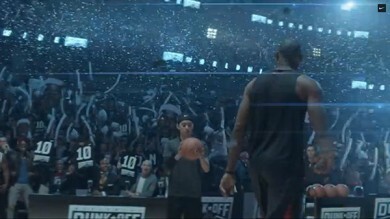 Gatorade also uses the archetype for its Rise Up and Greatness is Taken stories. 4. Rebirth: Doctor Who may be the best modern user of the rebirth archetype. The 50-year-old series relies on a familiar pattern: 1) the hero or heroine is threatened, 2) the threat looms large, 3) the protagonists are imprisoned by the threat, 4) all seems lost, 5) at last, redemption, which often requires an about-face by the hero. Two brands that use the rebirth theme well are The Salvation Army’s Red Kettle campaign (now 123 years old!) and Prudential’s Day One campaign. Prudential’s Day One campaign asks people to photograph their first day of retirement/rebirth. 5. Voyage & return: This is the progression from naïveté to wisdom. Alice in Wonderland is the prototypical example; other examples include Chronicles of Narnia and Finding Nemo. The pattern is similar to the quest, albeit with differences in sequencing. For brands, the escape metaphor is an oft-used theme. Corona’s Find Your Beach and Chrysler’s Imported from Detroit both typify the voyage and return archetype. 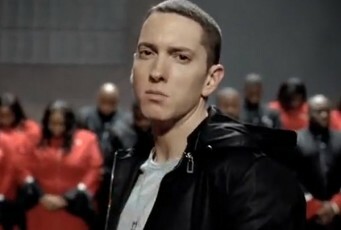 Chrysler’s Born of Fire ad — about the resurrection of Detroit and featuring Eminem — is a classic voyage and return story. 6. Tragedy: The tragedy archetype — which relies on a tragic flaw, moral weakness, and/or deep suffering — is not well-suited for brand storytelling and most stay far away from it. The only exception: PSA-type narratives, where a tragic story can bring the audience to action, such as the World No Tobacco Day Vine video from Quit.org.UK. 7. Comedy: Among the most memorable and popular stories are comedies. Characters are thrown into a state of confusion, darkness, and bewilderment — and resolution comes when constricting factors have been played to their extremes. While they are an audience favorite, comedies are one of the hardest to execute. There are too many brands to mention in this category… and you know your favorites. For the content marketer, leveraging these archetypes has significant advantages. Many of us struggle to keep content flowing — or more importantly, to keep good content flowing. Sticking with a familiar narrative helps clarify what content should and, even more importantly, should not be created. And a common narrative ensures your content strategy and point of view are consistent. Consider the case of Allstate. The company’s “overcoming-the-monster” archetype in its Mayhem campaign pairs with a solid content offering, from disaster prevention tips to education about financial security. By committing to the monster narrative, the Allstate content team knows what content belongs in its storytelling repertoire and what falls out of scope. The archetype keeps the brand on message and aligned with a broader integrated campaign across traditional channels. In my case, The Creators Project partnership between Intel & VICE Media uses what we call a “consistent lens.” We create content at the intersection of art and technology, and use multiple archetypes to tell our story (which offers us greater flexibility across Intel’s vast offerings). For example, we use the quest archetype when profiling an artist who has overcome challenges through the use of technology, and the rebirth narrative when our protagonist has tapped into previously unexplored artistic abilities and artistic media using new tools. Archetypes are media agnostic, meaning that as you add new touch points to your portfolio of work, you simply multiply the ways you can tell and enrich your narrative. 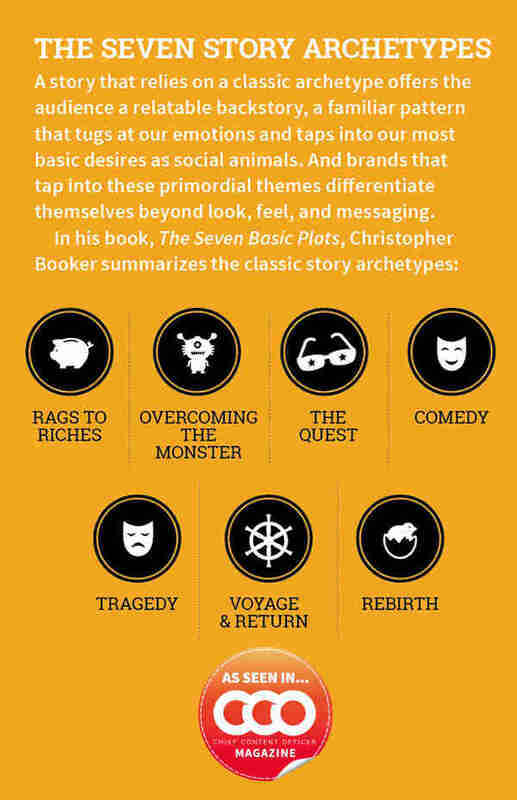 Classic story archetypes are timeless tenets of memorable storytelling — they have largely stayed the same since She Who Watches was carved in stone along the Columbia River, and will continue to live on in new forms, new media and new technologies. This article appears in the upcoming October 2014 issue of Chief Content Officer. Sign up to receive your free subscription to our bi-monthly magazine. Bryan Rhoads runs Intel's Media Lab and leads Intel's global content marketing strategies. Rhoads has defined Intel's approach, voice, and mission to social and digital content. He established Intel iQ and manages the award-winning partnership with VICE Media forming the Creators Project. Follow him on Twitter @bryanrhoads.